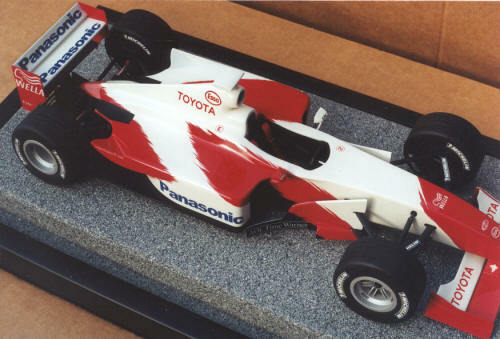 2002 The model featured here is not our interpretation of the 2002 Toyota Formula 1 car. 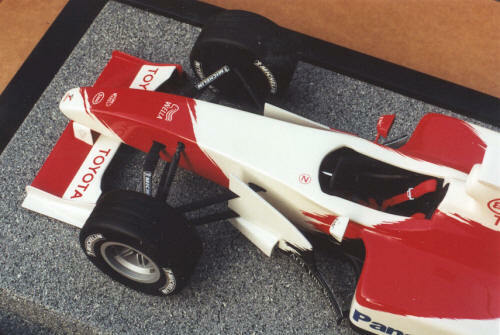 As you may know, Toyota entered formula 1 that year with a brand new team and car. 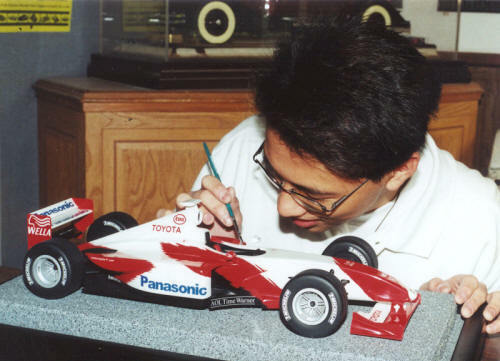 As a quick promotional sales tool for them, we were asked by our client in Japan, to modify a 2000 F1 Reynard, which we had already developed for the BAR car, and produce a facsimile of the 2002 new Toyota, in their new inaugural paint scheme. 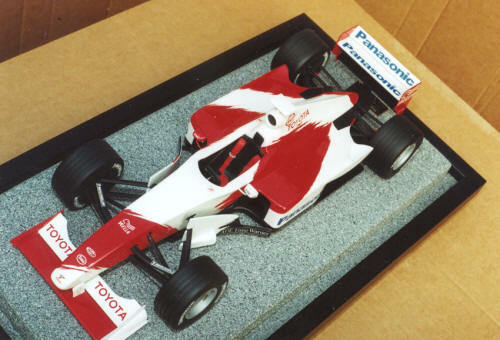 It was a one/off, but we thought you might like to see it anyway ... it was a nice looking model, which served it's purpose, even if it was not technically correct.